Microbial eradication occurred in significantly more patients treated with meropenem-vaborbactam than piperacillin-tazobactam. 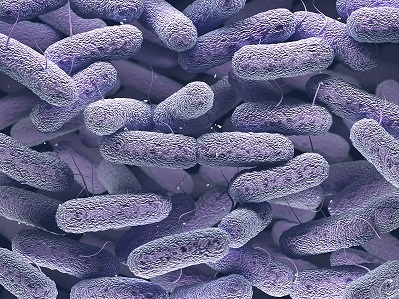 Meropenem-vabobactam, a combination carbapenem/beta-lactamase inhibitor, is more effective than piperacillin-tazobactam at treating complicated urinary tract infections (UTIs), according to a new study. The phase III randomized TANGO I (Targeting Antibiotic Non-Susceptible Gram-Negative Organisms) trial compared the 2 antibiotic therapies in adult patients with complicated UTIs, including acute pyelonephritis. The trial had 2 primary end points. Overall success, defined overall success as a composite of clinical cure or improvement and microbial eradication, was the primary outcome for FDA criteria. Microbial eradication at test-of-cure visit was the primary end point for European Medicines Agency (EMA) criteria. The FDA primary end point occurred in 98.4% of patients receiving meropenem-vabobactam compared with 94% who received piperacilling-tazobactam, Keith S. Kaye, MD, MPH, of the University of Michigan Medical School in Ann Arbor, and colleagues reported in JAMA (2018;319:788-799). The EMA primary end point was met in 66.7% of meropenem-vabobactam recipients vs 57.7% of piperacillin-tazobactam recipients. The differences between the treatment arms were statistically significant. Of 550 patients randomized, 545 (272 in meropenem-vaborbactam group and 273 in piperacillin-tazobactam group) received at least 1 dose of study drug. The meropenem-vaborbactam dosing regimen was 2g/2g over 3 hours; the piperacillin-tazobactam dosing regimen was 4g/0.5g over 30 minutes. The vast majority of both treatment arms had Enterobacteriaceae species as a baseline pathogen: 85.6% of the meropenem-vaborbactam group and 84.6% of the piperacillin-tazabactam group. Kaye KS, Bhowmick T, Metallidis S, et al. Effect of meropenem-vaborbactam vs piperacillin-taxobactam on clinical cure or improvement and microbial eradication in complicated urinary tract infection. The TANGO I randomized clinical trial. JAMA. 2018;319:788-799.